Discover the top universities for computer science in the US in 2019 here, or click here for the full table. This year’s QS World University Rankings by Subject includes an extended edition of the computer science ranking, which now features a total of 500 leading universities in this field. Read on for the top 10 table and an overview of the top universities for computer science in each world region, or view the full results here. The US dominates the computer science ranking with an impressive 90 entries out of the 500 featured, including six in the top 10. 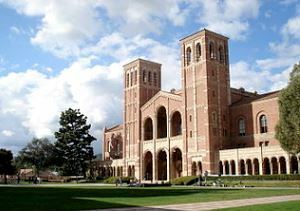 Other leading computer science faculties in the US include the University of California, Los Angeles (UCLA, 16th), Georgia Institute of Technology (Georgia Tech, 25th), Cornell University (joint 26th). Also in the top 30 are the California Institute of Technology (Caltech) and the University of Washington, which share 28th place. A further 16 US universities are ranked among the world’s top 100 computer science schools. Canada meanwhile boasts 18 entries in the computer science list, the highest ranked of which are the University of Toronto (11th), the University of British Colombia (24th) and the University of Waterloo (joint 26th). The UK has 45 representatives in the computer science ranking. Outside of the top 10 (see above), its leading universities for computer science are Imperial College London (12th), the University of Edinburgh (20th) and UCL (University College London, 33rd). A further five UK universities feature in the top 100 for this subject. Germany is next up with 35 entries, of which Technische Universität München (TU Munich) is the highest ranked, in joint 36th place. France also performs well, with 21 entries. Of these, ENS Paris and Ecole Polytechnique (ParisTech) rank best, in the 51-100 range for computer science. Italy claims 15 top computer science schools, with the Politecnico di Milano performing best at 43rd place. The Netherlands has 10 representatives in the ranking, with Delft University of Technology and the University of Amsterdam both within the top 100. Eight of the world’s top universities for computer science can be found in Spain, including Universitat Politecnica de Catalunya in the top 100. Also with eight entries is Ireland, including Trinity College Dublin (TCD) in the top 150. 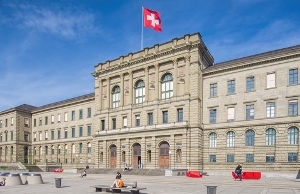 Switzerland has seven entries, with ETH Zurich in the top 10 and in 18th place. Russia also claims seven entries, including Lomonosov Moscow State University in the top 100. Austria, Belgium, Greece and Sweden boast six representatives each in the computer science ranking. Of these, Belgium’s KU Leuven, Sweden’s KTH, Royal Institute of Technology and Austria’s Technische Universität Wien (Vienna University of Technology) are all ranked in the top 100. Elsewhere in Europe, the Czech Republic, Denmark and Poland each have five entries ranked among the world’s top universities for computer science. Of these, Denmark’s entries perform best, with Aarhus University and the University of Copenhagen both ranked in the top 150. Finland has four entries, while Norway, Portugal and Romania each have three universities featured. Finally, Hungary has two schools featured among the top universities for computer science, while Estonia, Luxembourg, Serbia, Slovakia and Slovenia are all new to the ranking this year, with one entry each. Asian universities have a strong presence in the computer science ranking, with 30 entries claimed by China alone. 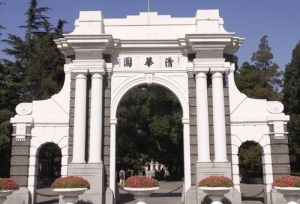 Three of these are ranked in the top 50: Tsinghua University (17th), Peking University (23rd) and Shanghai Jiao Tong University (joint 44th). Taiwan has 16 representatives in the list, led by National Taiwan University (46th). South Korea has 15 entries, including KAIST - Korea Advanced Institute of Science and Technology and Seoul National University (SNU) in the top 50. India claims 13 of the world’s top universities for computer science, many of which are Indian Institutes of Technology. Two of these are in the top 100: the Indian Institute of Technology Bombay and the Indian Institute of Technology Delhi. Meanwhile Japan has 11 representatives, including the University of Tokyo in 21st place, while Kyoto University and Tokyo Institute of Technology are both ranked in the top 100. Malaysia has nine entrants, including Universiti Malaya (UM) and Universiti Sains Malaysia (USM) in the top 100. Hong Kong is home to some of the highest-performing computer science schools in Asia; all but one of its six entries are in the top 50 of the ranking. These include The Hong Kong University of Science and Technology (HKUST, joint 14th) and the University of Hong Kong (19th). Of Singapore’s three representatives, two boast positions within the top 50, with NUS in the top 10 and the Nanyang University of Technology (NTU) ranked joint 14th. Elsewhere in Asia, Thailand has six entries in the ranking, Pakistan four and Indonesia two. Brazil is the leading Latin American country in the computer science ranking, with 13 entrants. 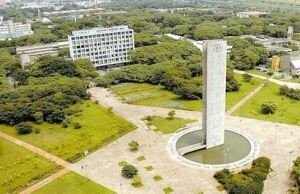 Of these, the highest ranked are the Universidade de São Paulo (USP) and the Universidade Estadual de Campinas (Unicamp), which are both in the top 100. Another four of the world’s top universities for computer science can be found in Mexico, including the Instituto Politécnico Nacional (IPN) and the Universidad Nacional Autónoma de México (UNAM), both ranked in the top 150. Chile also performs well with three representatives, including two in the top 150: Pontificia Universidad Católica de Chile and the Universidad de Chile. Finally, Columbia and Argentina each have one entry. Australia features a total of 22 of the world’s top universities for computer science, including four in the top 50. These are the University of Melbourne (13th ), Australian National University (joint 31st), the University of New South Wales (35th) and the University of Sydney (joint 40th). Over in New Zealand, there are seven top computer science schools featured, the highest ranked of which is the University of Auckland at 51-100. 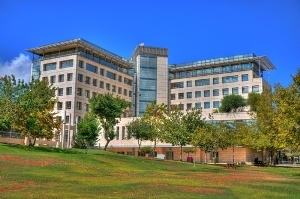 Israel claims six of the world’ top computer science schools, including Technion - Israel Institute of Technology in the top 100. Saudi Arabia and Turkey also feature with four entrants each, the highest ranked of which is the Saudi King Fahd University of Petroleum & Minerals (KFUPM) at 151-200. Fellow Middle Eastern country Lebanon is new to the computer science ranking this year, with one entry among the top 500. South Africa has two representatives in the ranking, including the University of Cape Town in the 301-350 range, while Egypt’s sole entry, Cairo University, is ranked 351-400 for computer science. Very interesting blog you have written and it it very entertaining and i was looking for such kind of blog.